Bakassi peninsula: Cameroon intensifies search for 34 missing soldiers – Royal Times of Nigeria. Cameroon has intensified search and rescue mission for more than 34 soldiers in a military vessel which capsized off the country’s southwestern coast on Sunday. President Paul Biya ordered the intensification of a search and rescue mission. He also ordered the establishment of a crisis unit in the Defence ministry to coordinate the operations. Thirty-four soldiers were missing Monday, a day after an army vessel capsized. 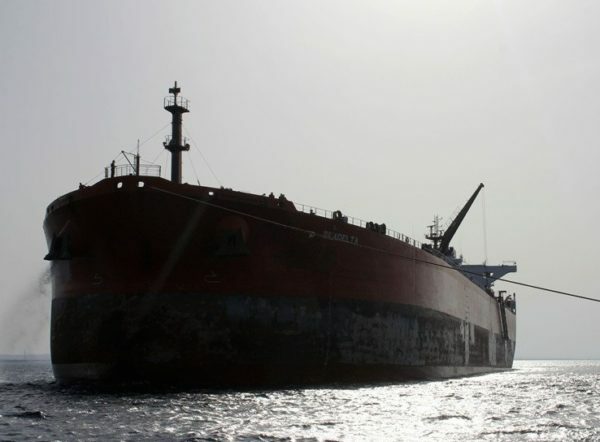 The ill-fated logistics vessel of the Rapid Intervention Battalion (BIR), an elite unit that fights terrorism and high banditry, was on a supply mission to the previously disputed oil-rich Bakassi peninsula. The peninsula was previously at the centre of conflict between Cameroon and Nigeria. “The vessel capsized offshore the coast of Debuncha with 37 personnel, including crew members on board,” Defence minister Joseph Beti Assomo said, adding that the circumstances of the incident have not yet been determined. Mr Assomo further said the Defence ministry ‘immediately deployed’ maritime patrols for search and rescue missions as well as a helicopter patrol, which surveyed the area of the last control signal. He disclosed that the helicopter was able to spot traces of fuel and directed the maritime patrols to the likely location of wrecked vessel. “Three soldiers were rescued but the vessel seems to have sunk to the bottom of the waters. “The area has been mapped out and a thorough search for survivors is on-going,” the Defence minister’s said further. The boat was also transporting equipment for construction at a military base on the peninsula, where the brigade has helped to restore security after a previous spate of hostage-takings. Cameroon and Nigeria had been locked in a dispute over the ownership of the 1,000sq kilometre peninsula on the Gulf of Guinea, but Yaoundé formally took control of the region in 2008, following an International Court of Justice ruling.